Poster for CHM lecture with Richard S. Tedlow, held on August 14, 2008. Lecture is part of the "Hail to the Historians" series. 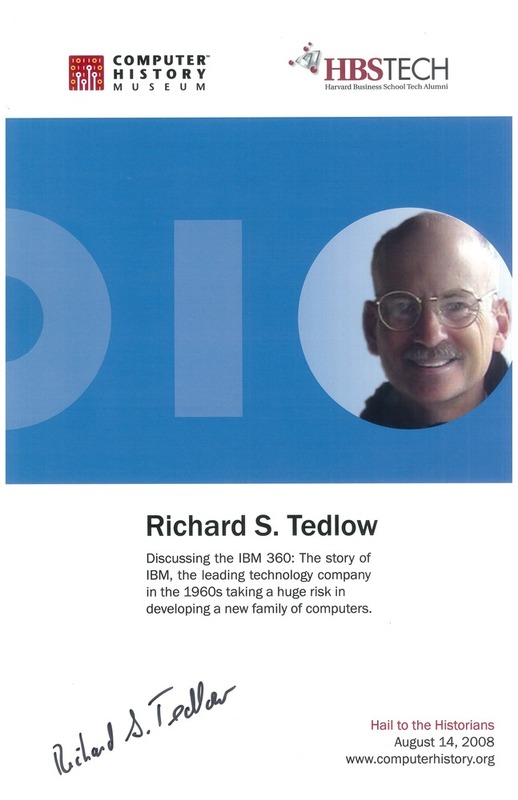 From poster, "Discussing the IBM 360: The story of IBM, the leading technology company in the 1960s taking a huge risk in developing a new family of computers." Poster has a white background with a wide blue strip near the top, with a paler blue "0" and "1" and an inset circular image of Richard Tedlow. Signed by Tedlow.